The Supporting Women's Football Blog is all about showcasing women's football at all levels of the game. I really enjoying watching games up and down the women's football pyramid and getting to see new teams for the 1st time in the process. Today it's a trip down into Hertfordshire to Welwyn Garden City to watch a local derby match in the Bedfordshire & Hertfordshire Women's Division Three, Panshanger Ladies v Welwyn Garden City Ladies. 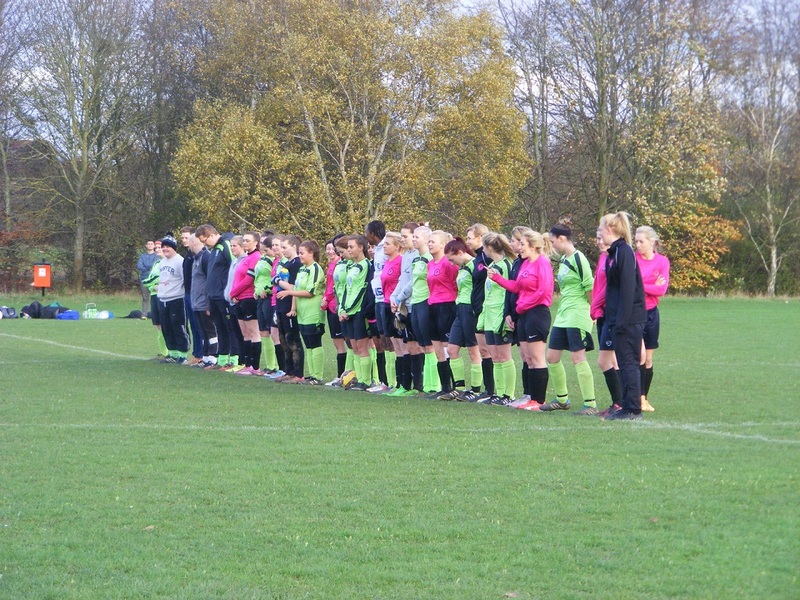 Bedfordshire and Hertfordshire run a combined women's football league comprising of 29 sides competing in three divisions, there was a large influx of new sides to the league this season and it has seen a great deal of movement between leagues 4 going up from Division Two into Division One with the 3 going up from Division Three into Division Two. Division Three itself grown from 9 sides last season to 11 competing this season with 5 new sides joining the league. 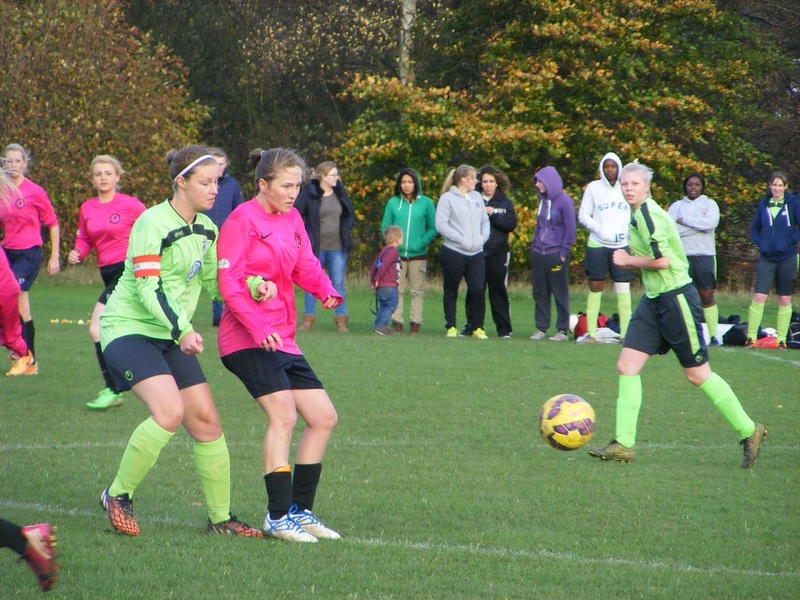 Panshanger Ladies are a newish side themselves having only competed in the Bedfordshire and Hertfordshire Women's County Leagues one season prior to this. East of Welwyn Garden City play at Moneyhole Lane Playing Fields a council owned open space and sports complex. A good facility with a clubhouse and changing rooms, five playing pitches, and a pretty cool looking and massive climbing frame on site which my nephew would have loved to have a go on. Panshanger Ladies have played 5 games in the league so far losing on the opening day, have since won 2, followed by 2 defeats to leave them currently sitting in the middle of the table in 6th spot. Their local rivals and opponents today, Welwyn Garden City Ladies have yet to win in the league this season have a single point on the board after 6 league matches played, 1 draw 3-3 with Hatfield Town Ladies in their 2nd league match of the season has since seen a run of 4 defeats to leave them down in 9th place early on. 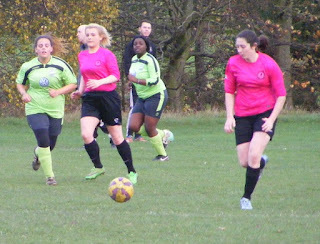 Established in 2009 with the ladies side entering the Bedfordshire and Hertfordshire Women's Division Three in the 2011/12 season. Very much a local derby match, I would be an interested observer today. The match had survived the weather Saturday being pretty wet and horrible across the country a few matches called off in the region, a damp start to the day overcast but getting brighter as I headed south for the game. The sun was trying to make an appearance as everyone headed across the playing fields to where the match was to take place. Dry but very windy a large open space it was obvious the blustery conditions would play a part in today's match blowing across the pitch which had a slope from one goal mouth to the other a good size too. 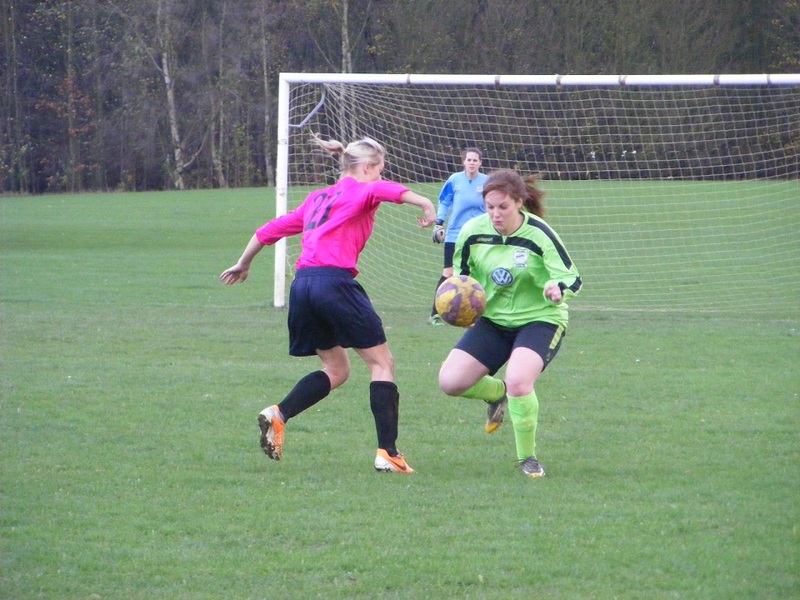 Panshanger Ladies starting XI - April Spang, Allyson Santini, Ruth Foo, Kathryn Light, Fiona Roberts (C), Shannon Twigg, Catherine Regan, Kerry Twigg, Sarah Mair, Ellie Burke & Georgina Harvey. subs - Patience Ndlovu, Laura Taylor, Janiece Allen, Olivia Sheehy & Tenyl Dembrauskas. subs - Katy Harper, Claire Biermann-Wheatley, Leah Harrison, Simone Wager. A minutes silence before the match today the players united standing together for a period of reflection and remembrance for those innocent lives that were so tragically taken away by a terrorist attack on Friday night. It's the home side Panshanger kitted out in green shirts and socks with black shorts to take kick off in the 1st half with Welwyn Garden City lined up opposite wearing pink shirts, black shorts and socks. Panshanger have the wind behind them to a degree as they attack the Welwyn Garden City goal. A tense start with players from both sides closing the ball down early play confined to the right side of the pitch. Maria Dennehy is the 1st player from both sides to get the ball beyond their opponents defence as the Welwyn Garden City playing wide right takes the ball up the flank, sweeps a cross into the box looking to pick out team mate Claire Cranfield making a run into the centre of the six yard box, however the wind slows the ball turning it into the gloves of Panshanger goalkeeper April Spang at the near post. Welwyn Garden City continue to pressurise the Panshanger defence at the start a corner kick is won on the right, Katie Parkin, Welwyn Garden City's captain up from the back for the corner heads the ball to the edge of the area a shot comes in, is deflected rolls free to Megan Rossington at the far post six yards out doesn't get any power behind her shot as Spang coming across drops and smothers the ball. With Cranfield left of the attack, Dennehy right and Rebecca Waring looking to run through the centre the visitors are pushing forwards, the offside flag stopping them in their tracks on a couple of occasions. Panshanger haven't been able to hold the ball up top early on but with Welwyn Garden City pushing players forwards their is space behind, In the centre of midfield Kerry Twigg sees Allyson Santini to her right ready to burst into space on the right attempts to slide her in, Lara Mackie in the Welwyn Garden City goal is alert to the threat and comes out quickly to clear on the edge of her area. Good link up play between Ellie Burke and Shannon Twigg on the left in attack for Panshanger with Twigg looking to play the ball into the box for Georgina Harvey, instead it's Welwyn Garden City centre back Kelly Harrison who finds the extra yard to beat Harvey to the ball and get it away before she can latch onto the pass. Under challenge in the centre Kerry Twigg controls the ball well and turning sprays the pass out to the left releasing Santini into space once more, taking the ball into the corner sends the cross along the face of the six yard box wind assisted no one can get on the end of it. Early change for Panshanger as they send on Janiece Allen for Burke. GOAL! Panshanger open the scoring with a little over 15 minutes played, a midfield pass through the centre gives Sarah Mair a chance to attack the Welwyn Garden City box as she goes beyond the visitors defence, Mackie is quick to come out and meet her again edge of the area she doesn't go to ground stays on her feet does well enough making a blocking save with her legs off Mair as she shoots the ball loose though spins across the face of the D is picked up by Shannon Twigg 20 yards out puts her foot through the shot lifting it over the rapidly back pedalling keeper and into the back of the net 1-0. GOAL! Welwyn Garden City hit back almost immediately I'm still writing up the notes for the 1st goal when they equalise. It's a determined run from Cranfield through the centre that sees her score for the visitors, put through drives with the ball getting a yard on the Panshanger defence into the box, Spang closes the angle stays big gets the blocking save with her legs as Cranfield pulls the trigger just inside the area the ball spins loose again to the left of goal, Cranfield is after it, and reaching it has the simple job of rolling the ball into the empty net 1-1. Is a fast paced match, but then when aren't they? End to end action Panshanger with the ball up the left win a corner kick the delivery is nodded on at the near post, cleared off the line, dropping into the crowd a 2nd attempt is kept out another clearance plenty of distance on it, falls to Panshanger captain Fiona Roberts 30 yards out central goes for the shot, I'm behind it looks to be going over, Mackie doesn't look concerned, the wind however catches the ball it dips late smashed off the cross bar dropping back into play left of the ball before being cleared. Up the other end good defending from Panshanger's Kathryn Light to intercept the ball as Dennehy brings it up the right with Cranfield looking to get into the area behind Light, reads the ball well gets her foot on the ball. Few niggly fouls starting in creep into the game. Allen is a tall, strong player hard to shake off the ball as she drives forwards for Panshanger into the Welwyn Garden City box right of goal gets the shot away, Mackie covering her near post makes another good save, is almost an own goal however as the ball hits her own player and comes back off against the post. Santini is off for Panshanger with Patience Ndlovu coming on to play down the left wing. Cranfield with another drive through the middle making for the Panshanger box her run takes her into the path of Dennehy who takes the ball off her as she enters the box, shoots early, Spang saves well. Rossington is the furthest forwards for Welwyn Garden City in the next move clear of the Panshanger back line entering the d has more time but opts for the early shoot low Spang is well placed to get down and claim the ball. GOAL! Dennehy scores the goal to give Welwyn Garden City the lead with 35 minutes played. Jenna Wynne plays the ball out to Dennehy making her move into the right channel she powers forwards with the ball closing in on the area, Spang comes to meet her doesn't go to ground the two close in on each other come together the ball sticks with Dennehy she digs it out of her feet rounds the keeper to place it into the back of the net 1-2. 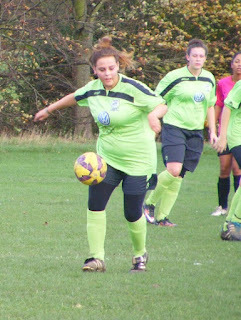 Changes all round with Simone Wager on for Welwyn Garden City, whilst Panshanger bring on Olivia Sheehy. The wind catches a well hit goal kick from Mackie as she launches the ball forwards, Cranfield is the player after it ready to run at goal, Allen now playing at the back for Panshanger does well to recover the ground and get the tackle in to put the ball out for a corner kick. From the corner Panshanger launch a counter attack with the cleared ball coming to Kerry Twigg she plays it over the top for Mair to give chase to, Mackie comes along way to put her foot through the ball. Rossington is fouled her shirt pulled as she tries to break into space on the left, 20 yards out corner of the box, Wynne over the ball goes for goal on target but straight at Spang in the centre of goal. Mair has a shot saved as she shoots from outside the Welwyn Garden City left of the D, Mackie comes rushing out to the edge of her area slides down to block the shot is up quickly the ball still in play, blocks another shot with her legs 20 yards out the ball coming to Roberts now in the centre of midfield she goes for goal, however her opposing captain Parkin is back inside the six yard box to defend the goal in Mackie's absence, clears the ball. GOAL! The Welwyn Garden City goal is breached this time deep into injury time in the 1st half, late pressure around the box from Panshanger brings them a corner kick on the right, the 1st delivery into the near post is headed over for another corner, the 2nd time it goes longer dropping into the crowded six yard area in front of goal bodies everywhere, the ball is stabbed home, it's Georgina Harvey who races out of the box pumping her fists 2-2. A highly entertaining local derby so far plenty of action, the wind causing a few problems for both sides, both keepers with so good saves. The Panshanger back line has seen a readjustment of personnel to try and deal with the movement of Dennehy, Wager and Cranfield with the latter doing a good job holding up the ball allowing others to get up with her. the scores all square going into the 2nd half still all to play for with the wind seemingly getting stronger. Welwyn Garden City have Alexis Clare and Katy Harper on at the start of the 2nd half for Rossington and Kelly Harrison as they kick off the 2nd period. Start brightly with Cranfield seeing plenty of the ball on the left hand side runs at the Panshanger defence but can find no way through with Allen getting across to win the ball. Through the middle Wager with her back to goal lays it out to her left for Dennehy on the right side, shoulder to shoulder with Allen see surges into the box gets a shot away the angle tight, hits it straight into Spang getting across to cover the post. The defender wins the next battle up the other end as two more plays go shoulder to shoulder into the box, with Mair on the drive for Panshanger left side of goal into the area with Parkin keeping pace with her lunges forwards to get her toe on the ball take it away from Mair before she can shoot. Carina Biermann-Wheatley comes on for Wager goes into the centre of midfield for Welwyn Garden City. Panshanger are getting more joy down the flanks 2nd half with Ndlovu attacking on the right, Shannon Twigg having a good battle with Tasha Ashman-Banks on the left, the Welwyn Garden City right back wins the ball this time and launches it down the wing with Dennehy looking to get after it the wind catches it making Spang the favourite for the ball. Ashman-Banks is back to defend the near post as play is pulled across to the opposite side with Ndlovu making a threatening run up the wing whips a great cross into the area Harvey looking to attack it, Ashman-Banks gets across her to win the header. More good running from Ndlovu on the right brings a throw, Panshanger keep possession the cross laid back to Harvey on the edge of the box, she shoots, the ball takes a wicked deflection off a defender going out to the left of the Welwyn Garden City goal, Ndlovu races in to get on the end of it sends her attempt behind the goal. GOAL! Initially it's a great save from Panshanger goalkeeper Spang as Biermann-Wheatley puts Dennehy in through the middle on the ball driving towards goal she pulls the trigger from outside the box looking to go across the keeper, Spang dives to her left gets plenty behind the ball sending it out wide for a throw on the left, Welwyn Garden City keep hold of the ball playing it all the way back to Wynne 5 yards inside the Panshanger half, she opts to put her foot through the ball sending it high into the air and heading towards goal, dropping dips late like Roberts effort 1st half only this time it drops under the bar and bounces into the back of the net Welwyn Garden City retake the lead 2-3. Biermann-Wheatley is finding time and space on the ball in the middle of the park looks to put Dennehy through in a central position once more closing in on Spang defending her goal she stays big gets the save in again with her legs the ball spinning out to the right, Catherine Regan is back to help her out gets to the ball before Dennehy can recollect it concedes the corner. Dennehy takes it on the right is defended well at the near post the headed ball comes back to Dennehy however, she lays it across to the front of the area with Biermann-Wheatley the player coming to meet it, hits the shot towards goal, Allen gets her body in the way of it clears for Panshanger. Santini and Burke return to the pitch for Panshanger with Regan and Harvey off, Ndlovu and Shannon Twigg switch sides with Ndlovu now up against Ashman-Banks on the left side of the attack. 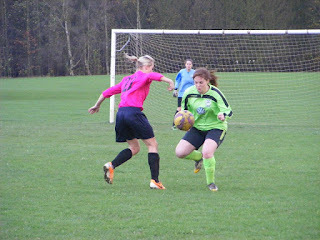 Cranfield gets hold of the ball pushes forwards through the middle for Welwyn Garden City, Spang comes out to close her down makes another one on one save the ball going away for a corner. Is getting a little heated out there challenges are coming in from both sides. Ashman-Banks and Ndlovu square up as the Panchanger winger tries to force her way past her to get into the box, nothing doing, it's not long after she goes in strong on Dennehy catches her in the knee, the two square up hands on chests, shoving one another, the referee has seen it all gives himself time, calls Ndlovu over 1st and brandishes the red card. Dennehy is shown a yellow card. Wynne hot on the heels from her spectacular goal tries her luck once more from the resulting free kick on half way, this time the ball drops into Spangs gloves. 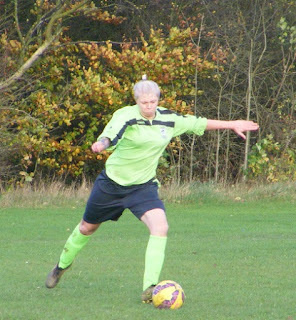 Mair who has played in attack and midfield for Panshanger is now centre back does well putting in the tackle to deny Cranfield another shooting opportunity as she drives with the ball into the area. 10 minutes left a goal down Panshanger switch to 3 at the back push an extra player up top with Kerry Twigg pushing on. Welwyn Garden City send Wager and Kelly Harrison back on. It's the visitors with the ball however have a corner on the right is played out the the edge of the 18 yard box with Parkin the player coming to meet it, wraps her foot around the shot sends it a yard wide of the post. Allen stormed forwards from the back with the ball at her feet for Panshanger, rolls it into the path of Burke in front of her central her shot is deflected wide to the left, Shannon Twigg is looking to get onto the ball just as she does, Ashman-Banks gets back to put the tackle in and take the ball inside the box launch a counter attack, end to end in the final minutes. Back with Panshanger, Burke is taken out 20 yards from goal the advantage played as the ball falls to Harvey recently reintroduced to the action, goes for goal can't get it over Mackie well placed in her six yard box. Up at the other end with Panshanger committing players forwards Wager is put through left of goal into the box both centre back and the goalkeeper converge on her sandwiched between all three she gets something on the ball sends it beyond them, also wide of the goal. The referee blows the final whistle and one of the best local derby matches I have seen in ages finishes 3-2 to Welwyn Garden City Ladies who record their 1st league win of the season securing the 3 points against their local rivals. 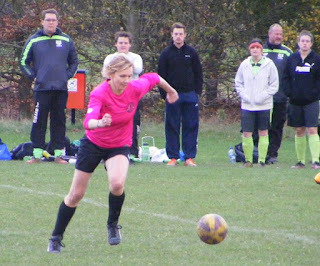 A highly entertaining contest, shame the wind had to play a part, nevertheless an enjoyable trip to Hertfordshire today, my thanks to both clubs for their help with the names and numbers today, and to Panshanger captain Fiona Roberts with some excellent directions to the ground. Wishing both clubs all the best for the rest of the season.